From 1910 up to around the time of WWI, the silhouette of corsets changed to create a more elongated line, with the corset lengthening to the thigh (adding a level of control around the hips). As mentioned in my video about hip reduction, if you enjoy the feel of a corset but you prefer not to create a dramatic hourglass silhouette, you could try a corset with a softer, more modern silhouette – or you could try 19teens “Titanic era corsets” (referred to as such because they were worn in 1912, the year of the completion and tragic sinking of the RMS Titanic). Very few makers seem to offer these pieces so this style of corset is a specialty item. Corsetieres, if you make 19teens reproduction corsets and would like your work added to the gallery, email me with a photo and brief description and you could see it here! Safe For Work photos are preferred. Thank you! Kelly of Anachronism in Action created a tutorial in 2012 on how to create this gorgeous 1913 Hume corset from an antique pattern! The tutorial is now available to read here if you would like to try your hand at making your own. As of 2014 Kelly is on a hiatus from commissions while she works on the costumes for American Horror Story, but will be available for commissions again soon! Here you can see a reproduction of the 1917 Hume corset, this time from Corsets by Caroline for the 2015 Foundations Revealed competition. This looks to have a bit of a saucy wire/bone running parallel to the top line and creating the illusion of a horizontal transparent panel at the top of the corset – in this picture, beautifully contrasted by the lace top underneath. So creative! Read more about this corset in Caroline’s blog and even make your own corsets using her special patterns in her Etsy shop. The teens era corset (1910 – 1916) was the best-selling corset for Prior Attire during 2014! They still have a small selection of pre-made corsets in stock, starting at just £105, but this corset can be made to your measurements and specifications – even being made with hand-dyed sateen in your choice of colours! Izabela, the owner of Prior Attire, has created a blog post and video on the making of her corsets. See her WWI underpinnings photo shoot here. 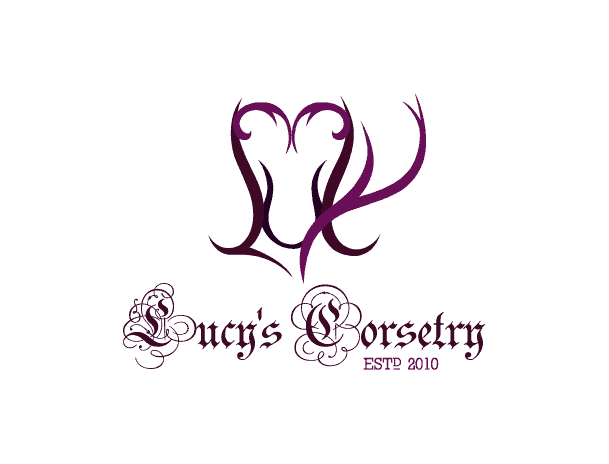 Period Corsets is a company I add to every gallery of reproduction corsets, because period corsets are their specialty! In their catalogue is this 1912 corset called the Edith, which is cut under the bust and low on the hip. Period Corsets offers this in standard sizes for natural waists 23 – 42 inches, but can also make them in custom sizes. They have an Etsy shop too! LaraCorsets has a truly amazing collection of antique corsets, and she’s also incredibly skilled at creating historical reproductions of costumes and corsets, including the very longline 1911 piece seen above, finished in a beautiful rose broche (a type of coutil that is even strong enough for single layers) and trimmed with soft pink ribbon and shirred garters. Lara will be resuming commissions in summer of 2015! This beautiful custom Titanic-era corset by Isabella Corsetry can be cut to be demi-bust, full overbust, or even underbust (offered as their Camille underbust) and is available in the Made-to-Order line for $320 (your choice of fashion fabric, but standard sizes), or full Custom (your choice of fabrics and made to your measurements) for $460. The bones can also stop at the hip, or extend all the way down to the upper thigh if desired. RedThreaded on Etsy offers beautiful reproduction corsets including her Rose Corset, a slim-fitting Titanic-era corset made from lightweight coutil (as they were made from in the 19teens) and extends down low over the hips. Decorated with delicate lace at the top and cording at the hips, it’s a lovely balance of simplicity and crisp elegance. 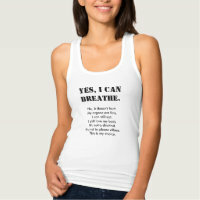 It can be created in standard sizes, or to your specifications. *Please note that this gallery is provided for informational / research purposes. I have not tried every corset on this list, nor do I necessarily endorse every maker in these guided galleries. Please contact the individual corsetieres for more information about their Titanic Era reproduction corsets. Tiddly links are Etsy affiliate links and they help support the bandwidth of these galleries, and keep them free to use. Hi Keziah, if you click on any of the photos, it will redirect you to the corsetiere who makes the Titanic Era corsets. However, reducing the size of the hips is only possible if you have recently given birth and your ligaments have stretched out during pregnancy and you have the hormone relaxin in your system. Unfortunately there is no possible medical way to reduce the width of your pelvis otherwise. Thanks bishonenrancher, i had checked out lucy’s video about reducing hips possible for women after pregnancy.However actually my hips have become wider as i mistakenly put on weight in an effort to actually reduce it.Wonder how could have 3 4 bananas a day with meals have done this to me and i have picked up two inches in my whole body. and now my hips are 40inches they earlier used to be 38 though i still used to think that is a bit more and would like to get it till 36.If you anymore info please do let me know.Thanks .Gob bless you! Hi Asia, do you mean that you’re looking for a genuine antique corset to purchase? You can check with Lace Embrace, LaraCorsets and Atelier Sylphe as they all have impressive antique corset collections. However, modern corsets (and reproductions) work the same way that antique corsets do and can be just as effective (if not more effective because drafting techniques have improved and modern technology has provided stronger and longer-lasting materials).